Preparing beets is as easy as eating oranges. There are things that you need to remove and clean before you can get started on munching it down. 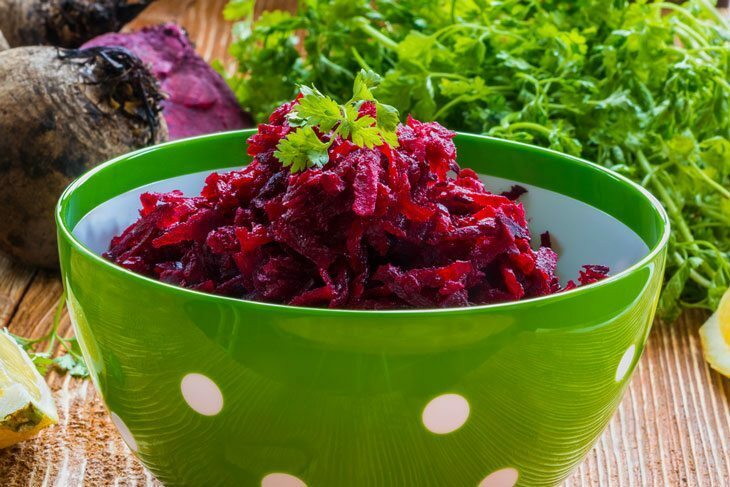 There are a lot of wonderful dishes that you can make by preparing beets. It’s important to know how to prepare beets because there are a lot of methods for preparing it. 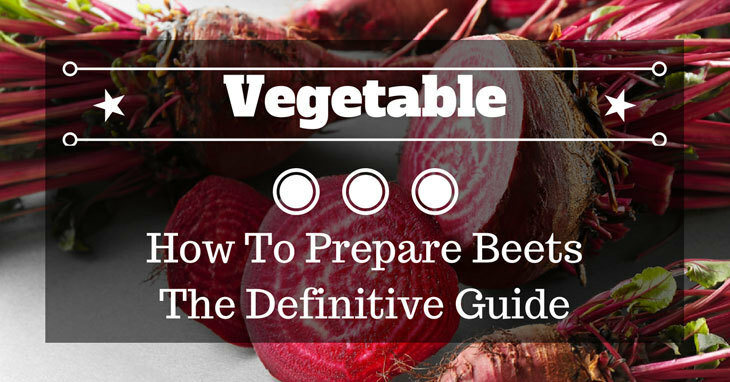 In this article, we will explore the different ways on how to prepare beets. Depending on your taste and preference, there will always be something for you to try. Choose the one that best suits your taste and tries other preparations as well. But before we get into the different ways on how to prepare beets. We will first explore what beets are and what kind of nutrients we can get from it. So buckle up as we begin to descend to the magical world of beets! Beets or beetroot are root plants that grow between the months of June and October. The physical features of beet plants include purple skin and bulb with green leaves. The most important part of the beet is its bulb, this is what we cook and prepare. This root crop is popular not only in western countries but to the east as well. And depending on your region, beets are prepared and eaten in different ways. Each region has its own unique way of preparing the crop. For example, some regions like their beets boiled and pickled. While others prefer it as roasted or raw. If you’re curious as to where beets originate from then this might what you're looking for. Beets originated from the ancient cities of Greece and Rome. The citizens of this region often cultivate this root crop for daily consumption. And some other regions use it for medicine. Today, beets can almost be found anywhere from your local townhouse to your large cities. Beets are not only delicious they’re also very nutritious. At a glance, beets might not look much because of its structure and classification as a root crop. But looking past its appearance is a nutritious vegetable with amazing health benefits. One health benefit that you can get from eating beets is that it can boost your immune system. This is because it contains a lot of vitamin C. and magnesium which protects your body from diseases. And not only that, beets are also rich in fiber which aids in digestion. The most notable benefit that you can get from eating beets is that it can lower your blood pressure. This benefit is notable because it can lower your blood pressure really fast. It might be even faster than your average medicine. There are a lot more benefits that you can get from eating beets and these are just some of those benefits. Beets can be prepared in a number of ways. In this article, we will be exploring the different ways on how to prepare them at home. You can try one or more methods in this list to satisfy your cravings. So take a look at how you can prepare beets at home. 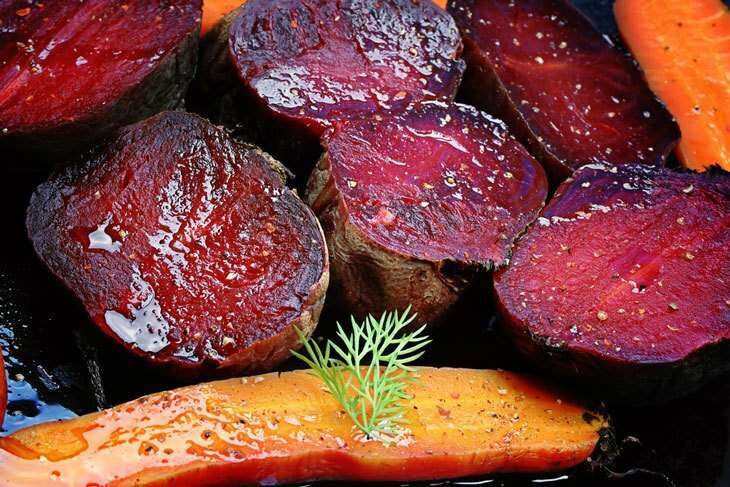 The first method of preparing beets is by roasting it. This method is quite popular with those who love to eat beets. It involves cooking raw beets in a grill with a live coal. In preparing the beets for cooking, all you need to do is to pour some salt and olive oil. Grill the beets in live coal until it becomes tender. Don't forget to peel the beets before you start grilling it. This will allow you to cook it better and it will prevent the beet from burning. Finally, you can add some toppings to your beets like melted cheese and butter for a unique taste. Another preparation that you might want to try is to eat it raw. Yes! Eating it raw is actually a thing for beet lovers. This method requires little to no preparation at all, just peel it and slice it and you're good to go! Eating it raw has its own benefits like keeping the flavor and nutrients intact. Raw beets are also good for the heart. 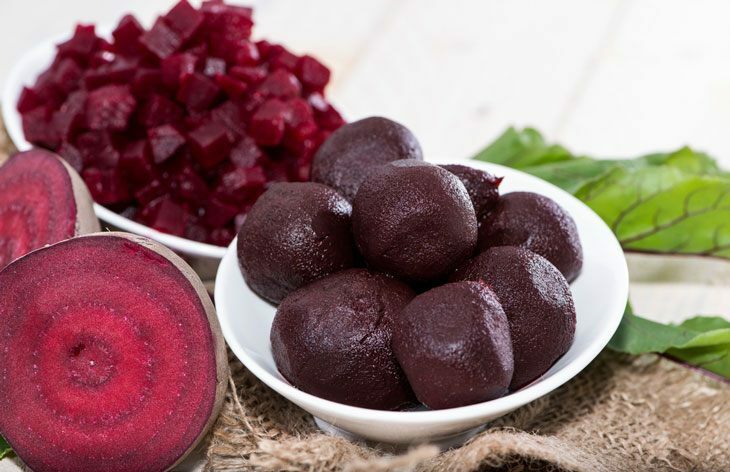 This is because raw beets have oils which are beneficial to the heart and blood vessels. Try this preparation if you want a healthier approach to the dish. The most common preparation that you can see in your supermarkets and malls is the pickled beets. This method of preparing beets involves slicing and preserving beets in a jar of vinegar. 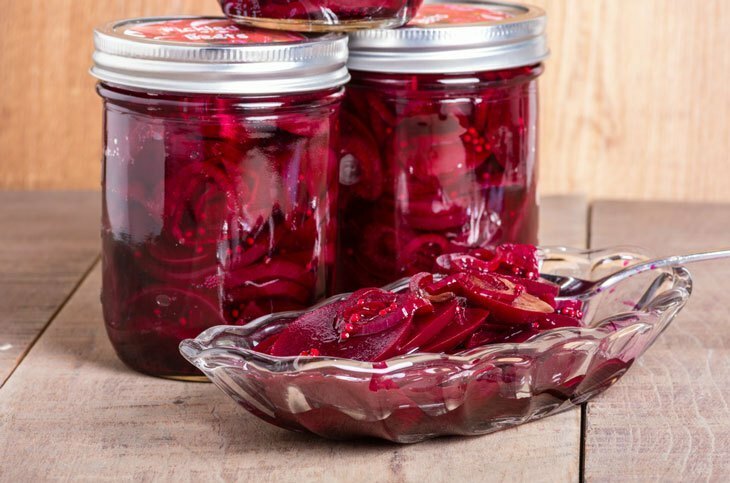 The best way to serve pickled beets is by refrigerating it before serving it. Pickled beets are popular because it can stay in your fridge for a very long time. It also preserves its natural nutrients and gives it a sweet taste. This is why most beet lovers prefer pickled beets over any other preparation. This method of preparation involves chopping fresh beets. And adding it to a variety of vegetables. Beets taste well when it’s added with other vegetables like lettuce and tomatoes. Adding it to different vegetables brings out the best in beets. So, if you want a healthy snack together with your beets. You should try this method of preparation. It will give a new meaning to your daily consumption of beets. Not only is it tasty, it’s also quite delicious together with other vegetables. Another method that you can try is to prepare the beets by steaming it. Steamed beets are perfect for lunch and dinner. This method of preparation is better than any other method. This is because the nutrients stay with the beets. You can get all of its benefits if you prepare it this way. The big difference between boiling it and steaming beets is that when you boil it. The nutrients are dissolved in the water where you boiled it. But if you steam it, the nutrients stay with the beets for the duration of the preparation. Finally, the last method that you can try is by boiling the beets. This method is most common in Asia and other western regions. Most people use this method because it’s easy and quick to do. The downside of this method is that the nutrients in the beets are lesser compared to other methods. To do this method, all you need to do is to prepare a pot and place the beets inside of the pot. After placing it inside of the pot, proceed to heat the pot until it boils. You’ll know when the beets are cooked when the skin of the beet softens. Don’t hesitate to try new methods of preparing beets. There are hundreds of methods out there that haven’t been discovered yet. Be creative in preparing beets and use a lot of your imagination. You’ll be surprised by the results of these experiments. Now that you know how to prepare beets. There are hundreds of recipes that you can try with those preparations. You can try these recipes if you want, they’re just easy to do and it will only take a little time to prepare. Beets are wonderful vegetables. Not only are they easy to prepare, they’re also very nutritious. Please like and share this article if it was helpful to you in any way. Thank you for reading and we hope to see you next time. Thank you for reading! So did you like the article? If you did, please like and share this article with your fellow gardeners.